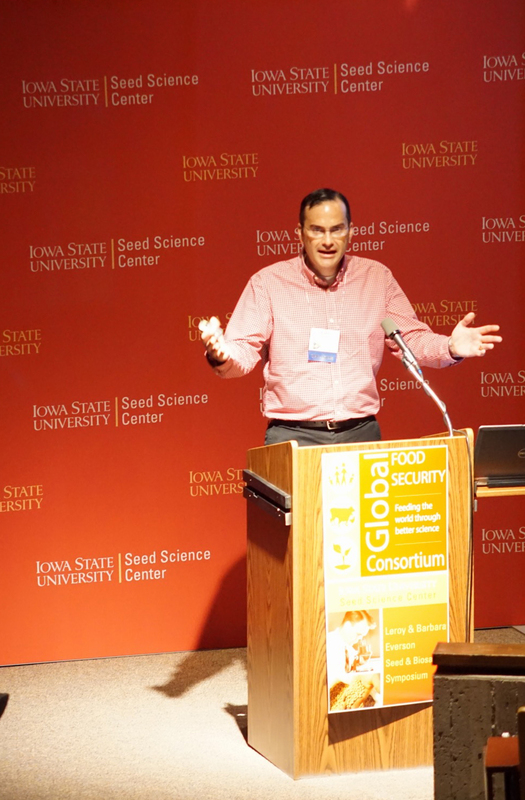 I was honored to be invited to speak at this year’s symposium of the Global Food Security Consortium at Iowa State University. The annual event brings together innovators in agricultural education, research, and outreach, all engaged in the grand challenge of feeding 9.6 billion by 2050. In my talk, entitled Cultivating science literacy in the nexus: Multidisciplinary STEM education across food, energy, water, I shared an overarching framework and sampling of current activities associated with the IANR Science Literacy Initiative at UNL. This was an amazing opportunity not only to share exciting work that’s happening at UNL, but to learn about scientific research and community development work being conducted around the globe to address food security issues and contribute to cultivation of sustainable food systems. This entry was posted in Leadership, Science Literacy and tagged science literacy on April 16, 2016 by corytforbes.